In today’s world, it’s no longer as much of a concern to make an online purchase having never seen the product you’re buying. But for major purchases like cars, it’s not quite as easy to just trust the description, put your money down and hope for the best. Carefully review photos of the vehicle. If you are able, enlarge the photos so you can see the vehicle in detail. Contact the company or person if you have questions. Sometimes the seller will be able to provide you with additional details about an item that you won’t notice in a description or picture. 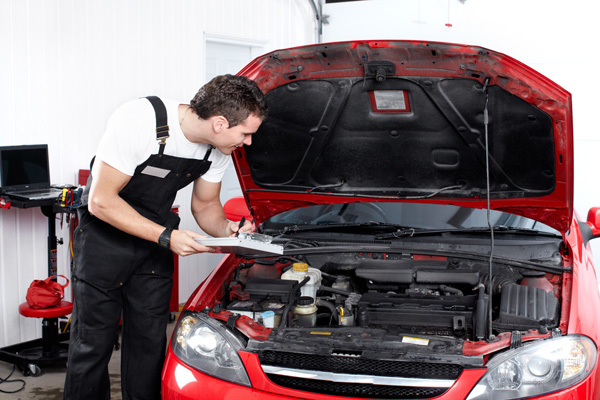 It may also be possible to inspect the vehicle prior to making a purchase. For example, online auction site Copart allows you to preview vehicles for auction at its physical locations prior to bidding. Have a trusted inspector preview the vehicle for you. If you’re buying a vehicle that’s located hundreds of miles away, find a trusted independent inspector from the area where your car is located to take a look at it. Copart also provides its members with a list of inspection services. The idea of buying a vehicle online can be scary at first, but with the ability to review images and inspect the vehicle before finalizing a purchase, there’s little difference between buying online and making an in-person purchase.